"Where do I get the feeling you're enjoying this?" Paramount recently debuted this new 60-second TV spot for Jack Reacher: Never Go Back, directed by Edward Zwick, bringing back Tom Cruise again to play the character created by author Lee Childs. He's joined by actress Cobie Smulders as Susan Turner, along with a cast including Robert Knepper, Aldis Hodge and Holt McCallany. The first full trailer for this sequel was quite promising, and this new TV spot rehashes some of that same footage with a few extra shots. They're selling this mostly with the angle of Reacher-is-a-badass like John Wick or Jason Bourne, who can take out anyone even though everyone underestimates him. Let's just hope the script is up to par. Fire it up. Jack Reacher returns to the headquarters of his old unit, only to find out he's now accused of a 16-year-old homicide. 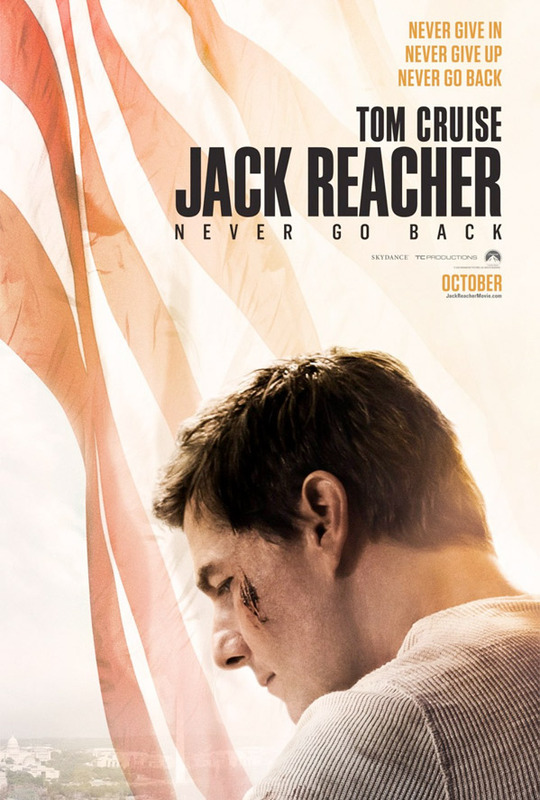 Never Go Back is the sequel to the adaptation of Jack Reacher (from 2012), and this film is directed by veteran American filmmaker Edward Zwick (of Glory, Legends of the Fall, Courage Under Fire, The Siege, The Last Samurai, Blood Diamond, Defiance, Love & Other Drugs and Pawn Sacrifice previously). The screenplay is written by Marshall Herskovitz and Edward Zwick, from an earlier draft by Richard Wenk. Adapted from Lee Child's book of the same name about Reacher. Paramount will release this sequel, Jack Reacher: Never Go Back, in theaters everywhere starting October 21st this fall. Interested? My friend is dead tiyaaaaaaad. That, and they star the childman Cruise, right Bo??? Have you kept to your word and not seen recent Cruise picture? I wish they got Nic Cage for the baddie and allowed him to go "Full CAGE".